On the campus of Saint Mary, large trees adorn the landscape and create a place of beauty. Birds nest in the branches and shade blesses those below. The right tree in the right place is delightful! At Saint Mary, we think the endowment is a lot like our campus trees, rising above the green grass and adorning the financial landscape with added beauty. Just as an oak tree produces acorns each year, creating an endowed named scholarship produces money for students in need. 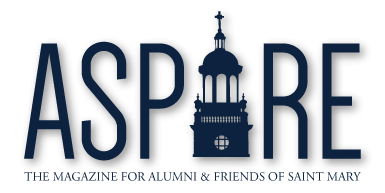 It takes $10,000 to establish a scholarship, and Saint Mary offers a two-year payment plan of $5,000 each to help “plant” an endowed scholarship. And like a giant oak tree, the endowment continues to grow as we invest to increase appreciation and income. The endowment was $19.1 million on June 30, 2015 compared to $16.4 million two years before. This growth is strong and enables Saint Mary to reach more students who wouldn’t otherwise be able to afford an education. Endowed scholarship trees produce, grow, and endure. Since only part of the income is used each year to help students in need, the rest remains intact. Like a protected oak, the tree lasts for future generations. 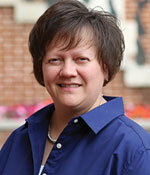 To learn more about “planting” your endowed named scholarship, contact Jane Ellen Liebert.